In my opinion, The Australian newspaper has resorted to the worse kind of sensationalised journalism in the piece, ‘Be prepared to die for God’, kids told in state school classes (October 17th). It is worth mentioning that the story pursued by The Australian was discussed in the media several months ago, and the issues raised were then adequately dealt with by the NSW Government and the providers of SRE. And by issues, it should be noted that there was no fire (perhaps a really small candle), just a lot of smoke being blown north by a group of angry Victorians (FIRIS). Unfortunately, while reasonable minds did address the expressed concerns, FIRIS have continued to blow smoke into NSW. Having scorched Victoria of rational and gracious discourse, I guess they need a new land to conquer. But my question here is, why did The Australian choose to regurgitate a non-story from months ago? Following the dreadful murder of Curtis Cheng by schoolboy Farhad Jabar, the media has been right to report issues relating to the radicalisation of young Muslims. These are genuine concerns for Australia, but sadly there are Australians who are distastefully seizing upon this issue and using it to try and remove Christian teaching and presence from schools in NSW (disappointingly, the Victorian Government has already succumbed to this obtuse fear mongering). And it seems as though The Australian correspondent, Natasha Bita, has jumped onto this bandwagon. Look at the headline, ‘be prepared to die for God’, kids told in state school classes. Obviously, these Christians are training young children to commit murder in our streets and schools. There must be hate filled speeches and promises of virgins in heaven for any willing martyrs! But of course, the headline is misleading, and the article itself falls flat in its attempt to make SRE appear dangerous, “harmful” and “damaging”. All of the extreme ideas cited by Natasha Bita, are of course nothing of the sort. 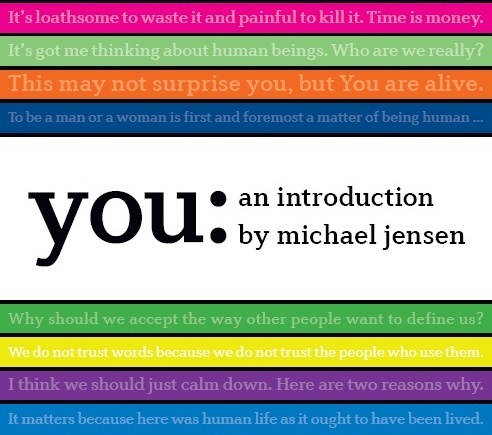 Michael Jensen’s book, You: An Introduction, is designed to start a conversation. It certainly holds a view of God who is holy and love, and of a world that is simultaneously amazing and broken, joy giving and painful, but all this fit perfectly within orthodox Christianity. Yes, it uses the word sin to explain what has gone wrong in the world, but only a fool would argue that there is no evil in the world. In fact, the concept of sin is one of the most self-evident ideas of the Bible. And far from being dangerous, read further and you’ll find that is no inciting to anger and hate, but there is much encouragement to love and respect, and to think deeply about life and biggest questions of the cosmos. And in response to the criticism given to a letter that was written by Bronwyn Chin, who died of pancreatic cancer in 2013, is it not appropriate to share stories of hope in the midst of suffering, or should our teenage children only have access to stories where the narrative is hopeless and meaning allusive? It is pretty shabby that The Australian decided to run this piece. Not just Christians, but Australians in general understand that aligning Christianity with Islamic extremism is absurd and bordering on slander. It is fine to not like SRE, and it is also fine to not like the fact that it remains in NSW State schools, and it is fine to argue for its removal, but it is not fine to harness public fears about real issues and to suggest that SRE is somehow akin to or might lead to the kinds of evil ISIS are perpetrating around the globe. 1. Along with John Dickson’s book, ‘A Sneaking Suspicion’, You: An Introduction, was temporarily banned from NSW schools earlier in the year, but they were quickly re-introduced once the Education Minister was made aware of the situation and no issue found with them. 2. These SRE classes are not compulsory. No parent is forced to have their children attend the classes. These classes are for families who want their children participating, and clearly there are significant numbers of families who do want these classes. Are Sydney Anglicans really so dangerous? FIRIS believe so, but really? No one is forced to believe the views they present or to even attend the classes, and yet these are ideas that have profoundly aided our nation for two centuries, and even if we disagree with them, is it not valuable for our children to have the opportunity to at least read and engage with these ideas for themselves? There has been a follow up article in today’s The Australian. Today’s piece focuses on what is a development in the story, that of a review in SRE curriculum. The outcome from a review is unfortunate, and really quite ridiculous. It is good to see that, on this occasion, the newspaper showed the decency to interview Michael Jensen (and Sandy Grant). The issues that I raised relating to the original article nonetheless remain. Hi Murray, thanks for your article. Over the past 4 months I have been out of Sydney and haven’t really been able to keep up with all the news regarding SRE, so I found your article a great summary. One thing in particular that I liked was this statement, “In fact, the concept of sin is one of the most self-evident ideas of the Bible.” It really is true, asking people about their experience of the brokenness of the world, is a great way to introduce the Gospel. This is just another example of what Jesus said would come, when we preach in his name. We know that the prince of this world is deceiving people, and using FIRIS to turn people away from God. But one thing we know is that our God is bigger. He has shown himself bigger than FIRIS, or book banning. It is such an encouragement for SRE teachers and those evangelizing in this hostile territory, to know that God is sovereign, and that God wants to be glorified through the Gospel changing hearts!